This grew in my refrigerator. I never claimed to be a good housekeeper. So what is it growing on? I think it is a beautiful color. 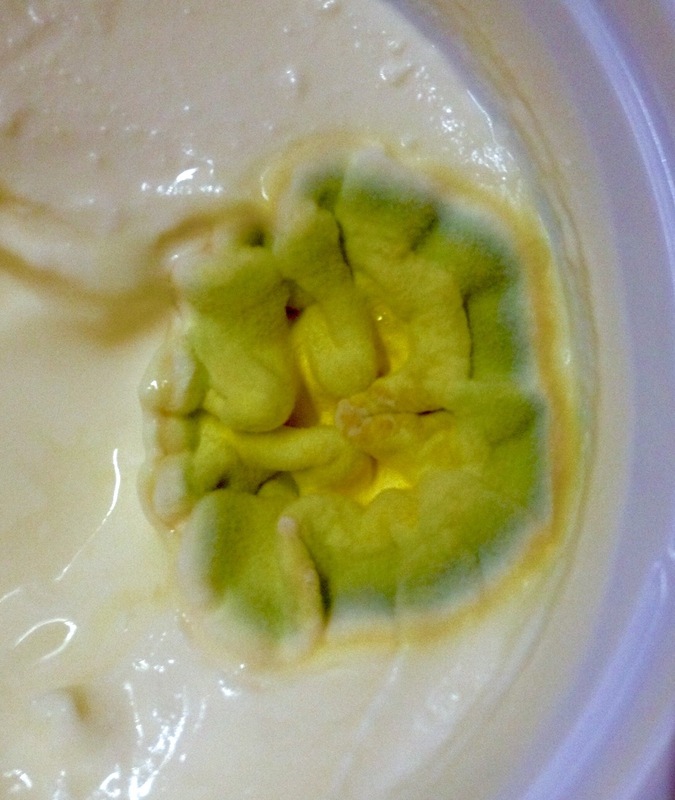 I’ve gotten tricolors in neglected yogurt. I do so prefer the moulds that aren’t just grey. Damn, it’s a mould, not a dog! Nope: down the sink it went! Clearly my fridge is overcrowded already since I didn’t know this was there!